Your ultimate get-away for many guests. 122 Main Rd is a 4 bedroom, rustic, no fuss, house with 3 of the 4 bedrooms en-suite and all four bedrooms are equipped with double beds. The loft area sleeps another 6 guests on single beds with their own bathroom with bath, shower, toilet, basin to share. The cottage sleeps 14 guests altogether and designed for big groups that are not concerned with the finer details. 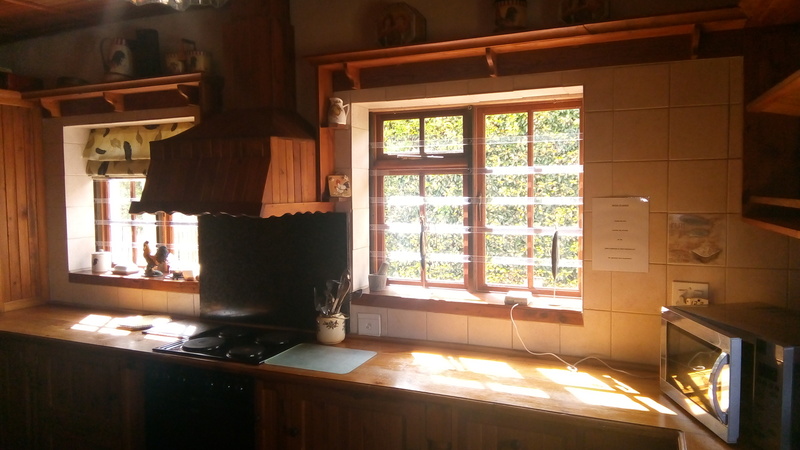 Spacious self catering accommodation close to the Nature Reserve with beautiful mountain views and huge garden. All linen and towels are provided. Spacious living and entertainment areas which include two fireplaces. Dining and bar area that comfortably seats 12 guests. 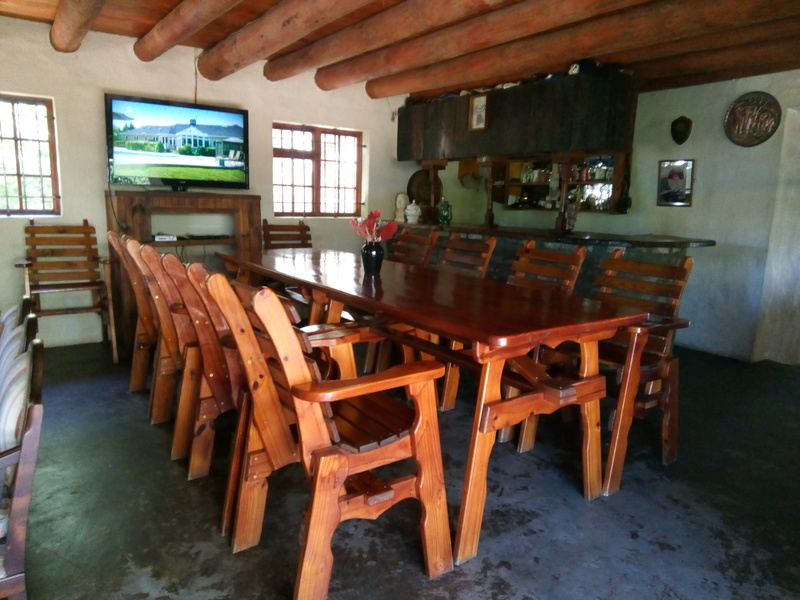 TV’s in 3 bedrooms and one in the dining area with full DSTV (no card required). 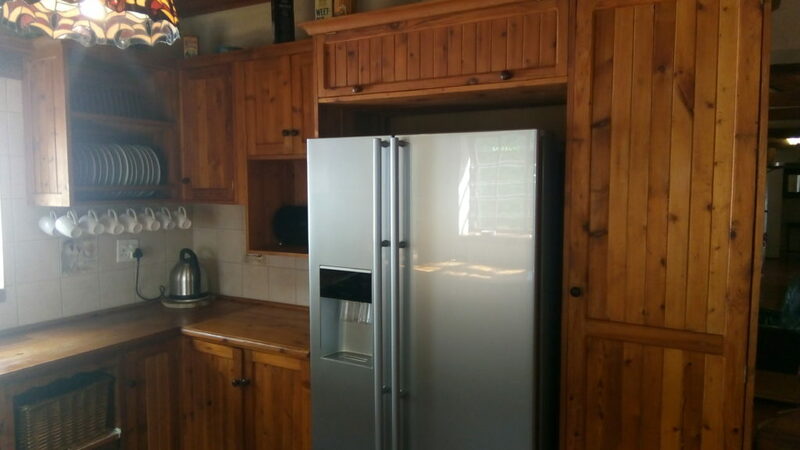 Fully equipped kitchen with 2 fridges and laundry room. Braai facilities on industrial outside braai and lapa area for those cold winter evenings. 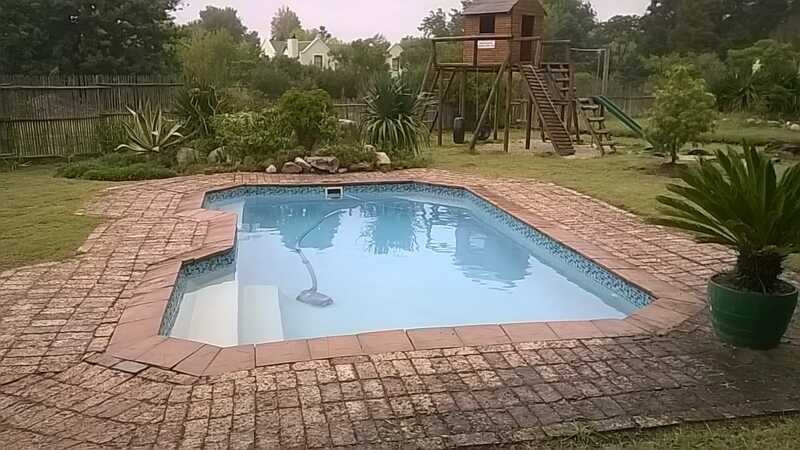 Unfenced sparkling swimming pool with pond and stream in the back of the garden. No pets.